This Fall/Winter season, Swedish outdoor brand, Fjällräven, brings its premium goose down insulated outerwear offering to Canada with new styles produced following Fjällräven’s award-winning policies for ethical down production. 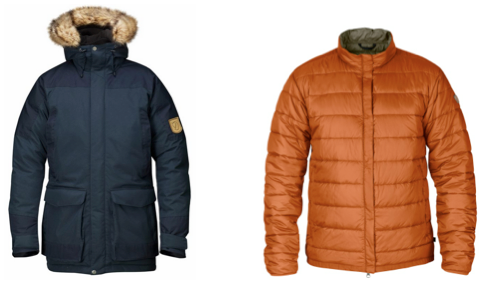 New this year, Fjällräven introduces a proprietary synthetic insulation dubbed G-LOFT Supreme. 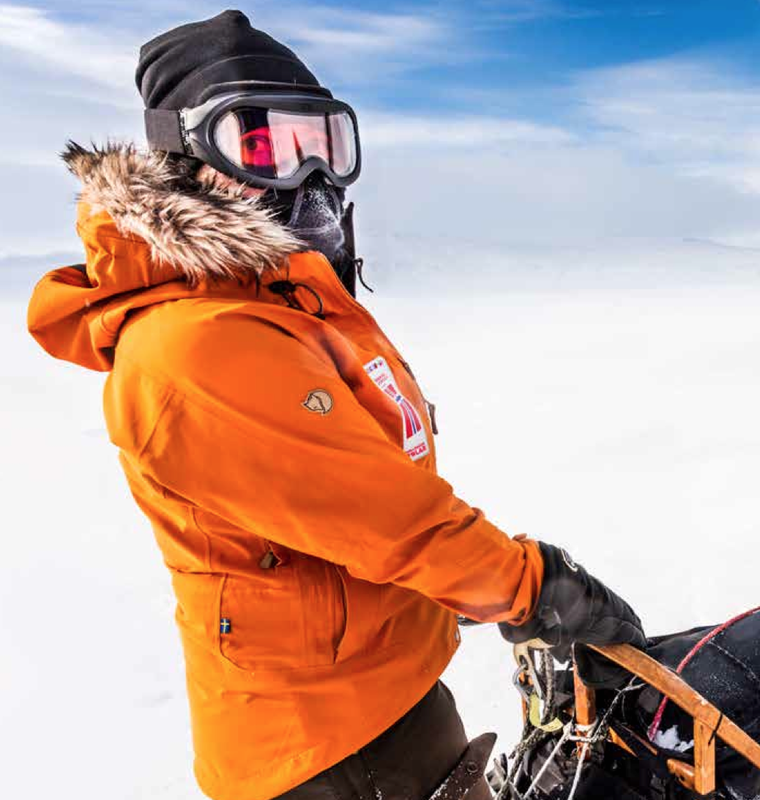 This high-performance alternative to down is an unparalleled insulation developed exclusively for Fjällräven in partnership with military engineers. The unique mix of hollow and thin fibers offers world-class warmth-to-weight ratio and excellent thermal properties in extreme wet and cold conditions, fitting for the climate of Canadian winters. This collection is available now and through the winter season at specialty retailers across Canada and online at www.fjallravencanada.com. New for the Fall/Winter 2014 season, the Greenland No.1 Down Jacket pairs a premium, 700-fill goose down insulation with the silhouette of Fjällräven’s 1968 classic Greenland Jacket. Available in five colourways including Mountain Grey, Sand, Tarmac, Deep Red and Uncle Blue. A new addition to Fjällräven’s outerwear offering, the Keb Down Jacket is insulated with premium 700-fill goose down and has box-wall construction to eliminate cold spots, perfect for cold weather. It is a lightweight option that is easy to pack when travelling to colder climates so you don’t have to fill luggage with a heavy down parka. Bonus: The Bivouac-harness on the inside of the jacket allows you to wear the jacket “backpack style” off your back while trekking in a highly aerobic outdoor adventures. 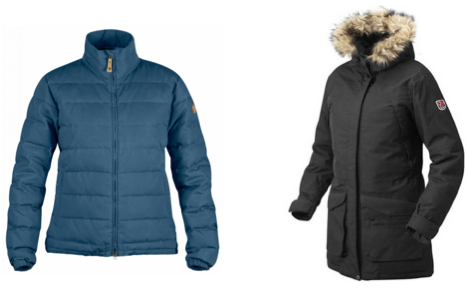 The Keb Down Jacket is offered in three hues, including tarmac, UN Blue and a classic black. Another new addition to the collection the Keb Loft Jacket is a lightweight style insulated with Fjällräven’s proprietary G-Loft Supreme, ideal for layering under a shell or wearing on its own. Offered in four hues including autumn leaf, dark olive, blue and a classic black, the Keb Loft Jacket is also be offered for women in four colourways: Autumn Leaf, Tarmac, Uncle Blue and Black. Inspired by the native Sami population in Northern Sweden, the Luhkka (translated as “bad weather collar”), offers a cape-style outerwear design for cold weather conditions. This down version of the original Luhkka cape is an optimal layering piece constructed from Fjällräven’s G-1000® signature fabric and 700-fill goose down for insulation. Available in Tarmac/Dark Olive and Black/Dark Grey. The brand will also debuts a new reversible design Luhkka No.3 as part of the premium Numbers Series. The Sarek Winter Jacket W debuts as a great piece for city to trail use. A traditional, long cut with a cinched waist offers a fitted, stylish silhouette. G-1000® Original with G-1000® HeavyDuty reinforcements at the shoulders and bottom back offer extra protection in hardwearing areas. Bonus: A technical tunnel hood with a faux fur trim keeps your face protected from the cold! Offered in four colours: Dark Grey, Autumn Leaf, Sand and Dark Olive. Also available in a men’s version. The Övik Lite Jacket for women is a short, non-bulky down option that offers a versatile layering option. It features a wind and water resistant G-1000® Lite fabric outer with a 500-fill goose down and feather blend insulation. A lightweight Pertex® Quantum lining provides a smooth finish and added comfort. Available in five colourways, including new seasonal hue Mountain Grey and a classic Fjällräven Green. Also available in a men’s version. A favourite for both style and function, the Kyla long women’s down parka is wind and water resistant, keeping you warm and dry in all weathers. 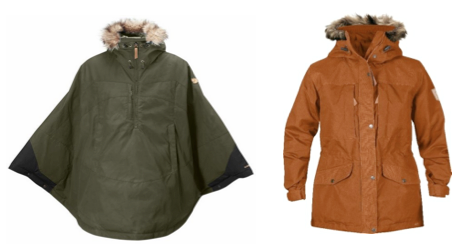 The parka boasts an attractive cut with a fixed, adjustable hood that is lined with warm, soft fleece. In four wearable colourways; Mountain Grey, Black Brown, Black and Dark Navy.